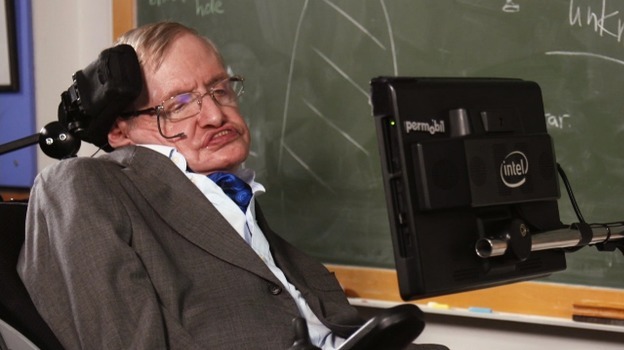 Stephen Hawking saw it coming. As the lat­est devel­op­ment in the news regard­ing the like­li­hood of inter­fer­ence with the US elec­tion, a ques­tion occurred to me. What may be the dri­ving force behind people’s igno­rance of the state­ments pro­vid­ed by Stephen Hawk­ing regard­ing Mr. Trump, in which he says that Trump’s pri­or­i­ty will be to “sat­is­fy his elec­torate who are nei­ther lib­er­al, nor that well-informed.” I believe it is impor­tant to become informed regard­ing con­se­quences of an elec­tion. It will now take sev­er­al month to untan­gle the truth behind the elec­tion of Mr. Trump. Sure­ly we need to look at the moti­va­tions behind past deci­sions glob­al­ly. As Mr. Hawk­ing explained before “Trump was elect­ed by peo­ple who felt dis­en­fran­chised by the gov­ern­ing elite in a revolt against glob­al­iza­tion”. Only time will tell the under­ly­ing plan for the future of the glob­al econ­o­my. The moti­va­tion of keep­ing knowl­edge­able peo­ple from speak­ing out seems to be a com­mon tac­tic among lead­ers and com­pa­nies. The future out­come of pub­lic opin­ion will tell whether vot­ers pre­fer to know the truth, and choose to be edu­cat­ed about the details of the US elec­tion. Typ­i­cal­ly any orga­ni­za­tion will have employ­ees who are dili­gent and hon­est, and can not be stopped from doing the right thing. I fur­ther hope that the pop­u­la­tion will inquire fur­ther, and moti­va­tions and goals will become clear­er.